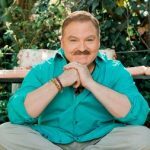 James Van Praagh is considered a spiritual pioneer and one of the world’s most celebrated and respected spiritual teachers working today. He has brought a mindful awareness to the subject of “communication with the dead” into the public psyche for the past 30 years. Van Praagh is known as a “survival evidence medium,” meaning that he provides evidential proof of life after death via detailed messages from the spiritual realms. His work has brought spiritual insights to millions with his numerous guest appearances on such shows as Oprah, Dr. Phil, Larry King Live, 20/20, the View, the Today Show, and others. He is also the #1 New York Times best-selling author of Talking To Heaven, Reaching To Heaven, Healing Grief, Heaven and Earth, Looking Beyond, Meditations, Ghosts Among Us, Unfinished Business, How to Heal a Grieving Heart, Adventures of the Soul, The Power of Love, and Wisdom From Your Spirit Guides. His books have found international acclaim with translations into 25 languages in more than 30 countries. In 2002, he hosted his own television show, Beyond With James Van Praagh, and went on to produce one of the most watched mini-series in CBS network history; Living With the Dead, starring Ted Danson, who portrayed James in a biography of his life. Van Praagh also developed and produced The Dead Will Tell, as well as the Ghost Whisperer, starring Jennifer Love Hewitt. Currently, James can be heard around the world on his weekly radio show, Talking to Spirit, on the Hay House Radio Network. He has been teaching for the past 15 years at Omega Institute and also travels around the world, leading conferences and workshops on self-development and intuition. Through his work, Van Praagh shares his life experiences and insights so that others will benefit in opening up their hearts and gain a connection with their own spiritual self.